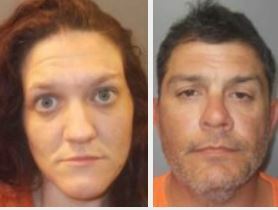 Jeff Davis Parish Sheriff’s office arrested, 45 year old William Ray Oquinn and 31 year old Kayla Nicole Barbery for outstanding warrants for theft and simple burglary. Deputies recovered some of the stolen items, including an Honda ATV, archery equipment, Xbox, televisions, and tools. 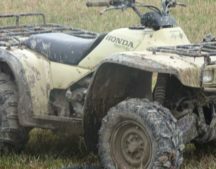 Beauregard Sheriff’s office and Allen Parish Sheriff’s office are working together on identifying stolen items believed to be connected to Oquinn and Barbery. Additional charges are pending on both subjects.